AMD on Monday said desktop PCs featuring Bristol Ridge APUs will arrive in the near future, offering both performance and efficiency improvements over previous desktop-based APUs. What’s likely more interesting here for most isn’t the new APUs but the introduction of the AM4 socket. 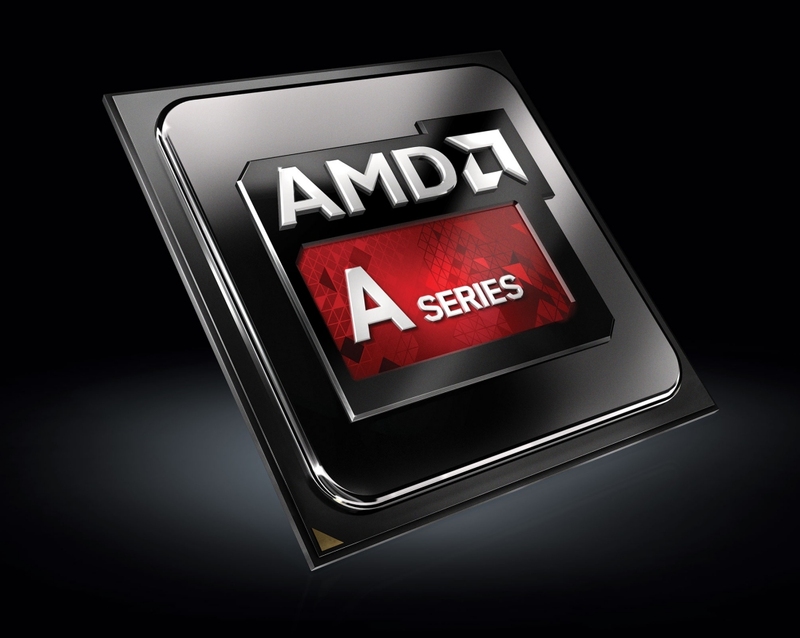 AMD’s seventh-generation A-series chips for entry-level desktops will be offered in eight variants, from the highest-end A12-9800 sporting four cores, a base clock of 3.8GHz and Radeon R7 graphics at 65 watts to the A6-9500E with two cores, a base clock of 3.5GHz, Radeon R5 graphics and a TDP of 35 watts. There’s also a non-APU variant called the Athlon X4 950, a quad-core chip clocked at 3.5GHz and a 65 watt TDP. AMD says its new APUs offer as much as 17 percent higher processing performance compared to Intel’s Core i5-6500 and 99 percent better graphics performance. The latter is no surprise as Intel’s integrated graphics have never really been on par with AMD’s. Like Intel’s upcoming Kaby Lake chips, AMD’s new desktop APUs also support VP9 and H.265/HEVC. That said, Bristol Ridge chips likely won’t even show up as a blip on enthusiasts’ radars as true hardware hounds are waiting to see what AMD’s upcoming Zen platform has to offer. That’s especially true considering these new chips are still based on the Carrizo architecture and built using the dated 28-nanometer manufacturing process. The new AM4 socket, however, is noteworthy as it will run both Bristol Ridge and Summit Ridge (Zen) chips and offer support for DDR4 RAM, USB 3.1 G2, NVMe and SATA Express. Initially, AMD will offer a trio of chipsets: the AMD B350 for the mainstream segment, the AMD A320 for the essential crowd and the AMD X/B/A300 for small form factor boards. HP and Lenovo will be among the first partners to offer Bristol Ridge-based desktops, AMD said.